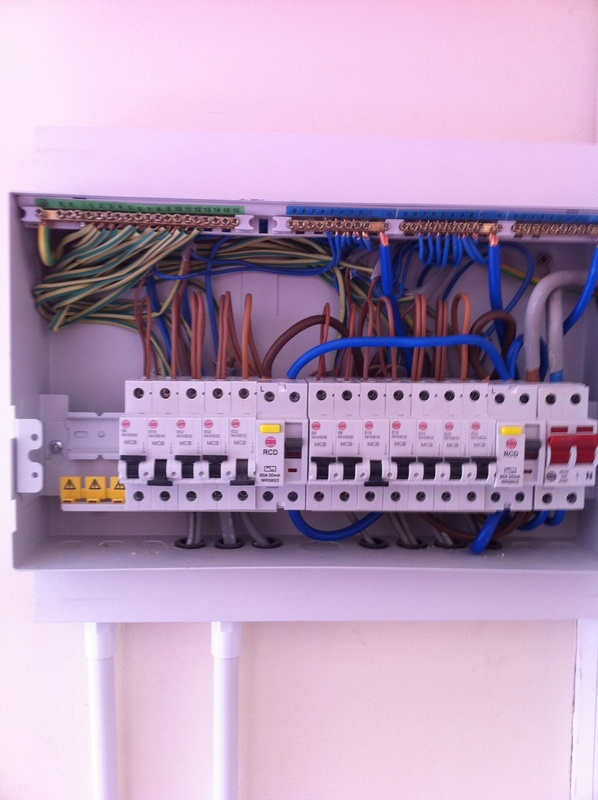 We can upgrade your existing Fuse Board Installation subject to an initial survey. The cost of the Upgrade is generally about 60% cheaper than a re-wire and you will be brought up to the latest regulations BS7671 2008, 17th Edition IEE Wiring Regulations. This is ideal for people who do not want to damage walls or ceilings but want to feel that their installation is safe. For further information on replacing your fuse board and important reasons to Upgrade, please click on the PDF. 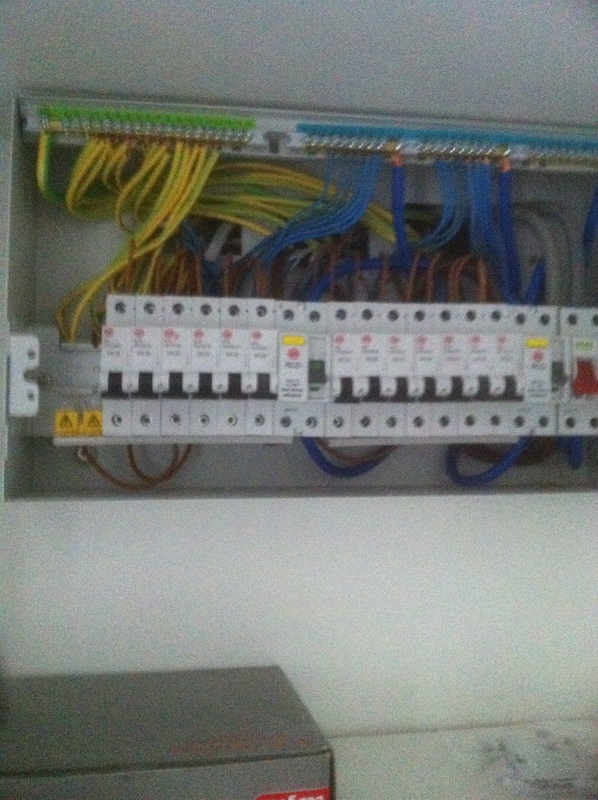 1st Phase Electrical Ltd are NICEIC registered Electricians, and consumer unit upgrade specialists based in London. 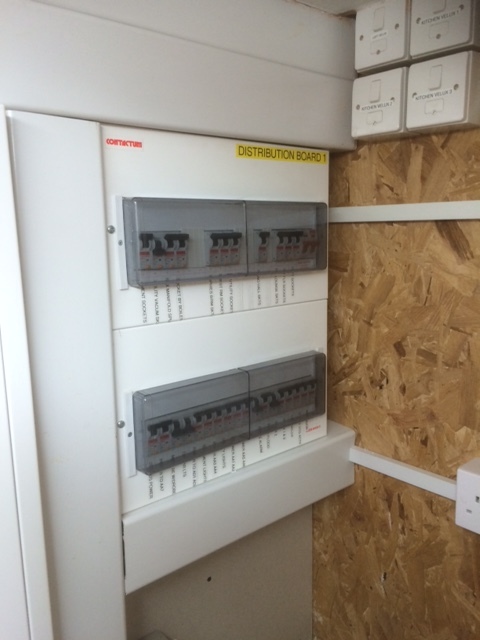 Our work is governed by the NICEIC and we test our newly installed electrical work prior energising the supply. We also register the works with the local authority and issue you with an 'Electrical Installation Certificate'. A confirmation of our works will also be sent from the NICEIC to confirm that the local authority have been notified. Our installations are in accordance with the regulations of BS7671 and each cable is correctly installed to its corresponding terminal. We use trunking and conduit for a smooth clean finish on new installations so there are no unsightly cables left hanging anywhere. A Consumer unit with both RCD and RCBO protection. 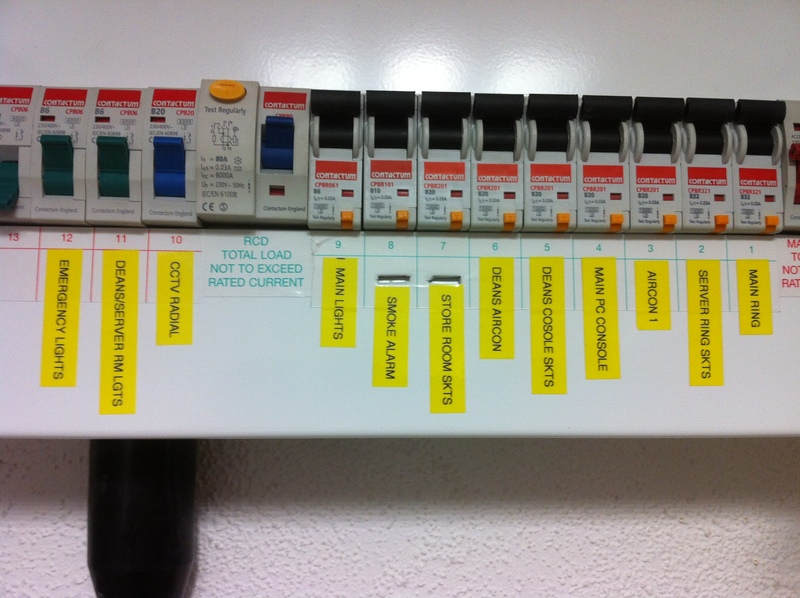 All of our fuse boards are very clearly labelled in either white or yellow tape so that you know exactly what you are isolating or what circuit has tripped. 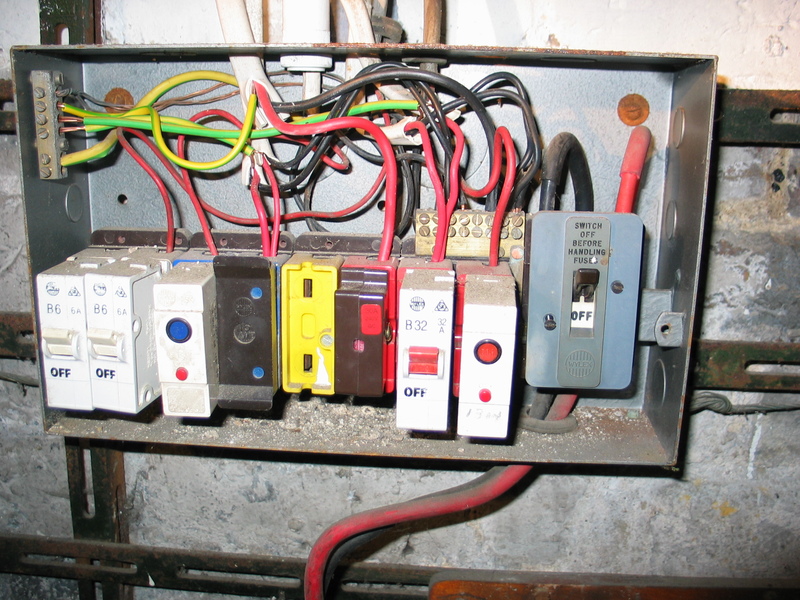 This old fuse board had no cover, no RCD protection and used the old style BS3036 re-wireable fuses as well as a MCBs (miniature circuit breakers), which do not comply to the regulations. 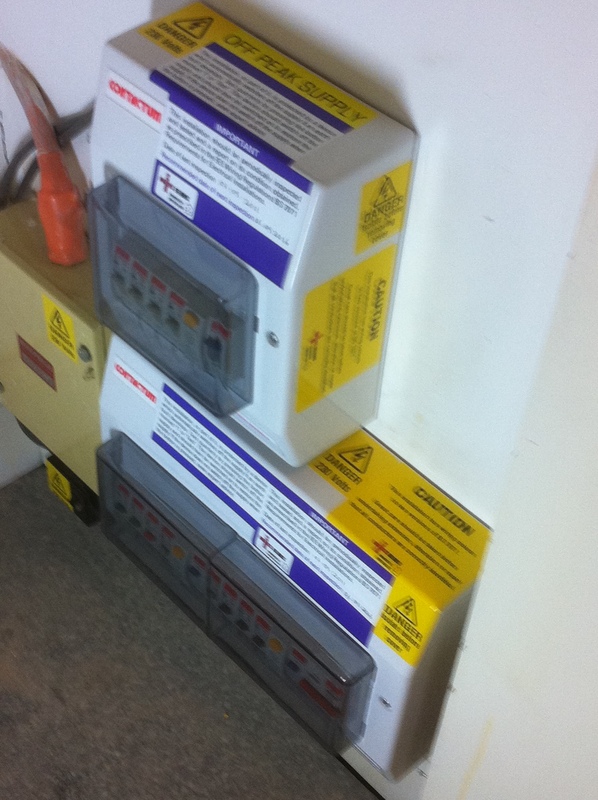 We replaced the fuse board with a 17th Edition Insulated consumer unit giving total RCD protection to the installation. 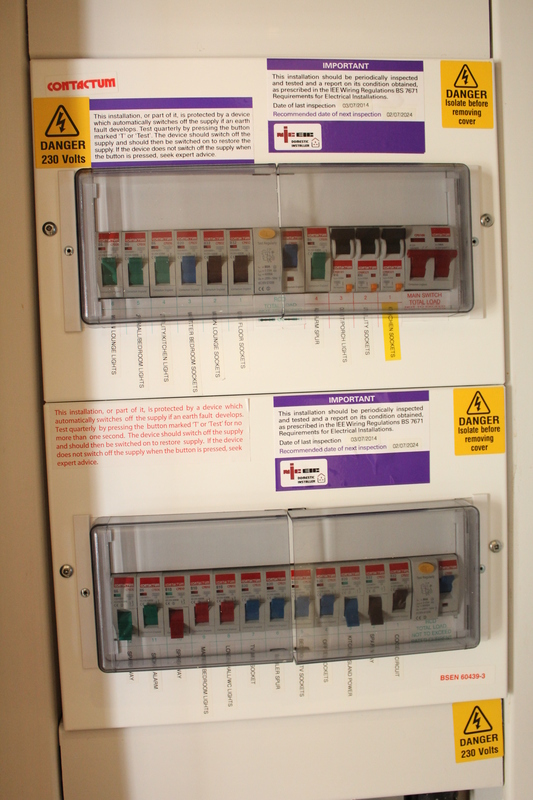 Here we installed 2 fuse boards, one for regular use and one for the off peak storage heating supply. The above installation was old and out dated. There was no RCD protection to sockets and no identification to each circuit. Cables were clipped over one another and it was in a very messy condition. 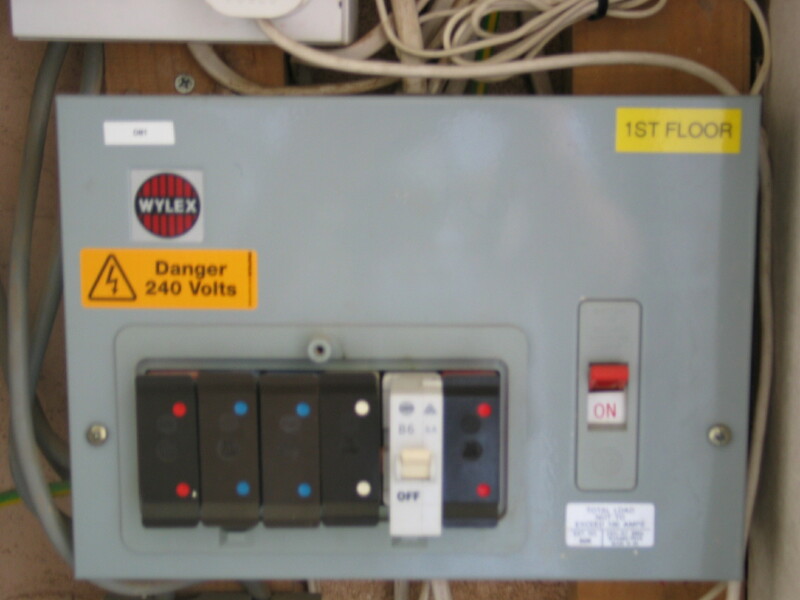 We replaced the fuse board to the left which had the Wylex adapted circuit breakers, and replaced the board to a new modern Consumer unit complying with the latest regulations (BS 7671 - 2008 Amendment 3 - 2015). We also tidied up the cables and extended them where neccessary. The consumer unit has RCBO's fitted which, unlike a dual RCD board, will only trip a circuit when a fault occurs, unlike a dual RCD board where a group of fuses will stop working as the RCD protectecting those circuits may trip. With an RCBO, you can easily identify which circuit has a fault. This is an installation to a workshop at the end of a clients garden. 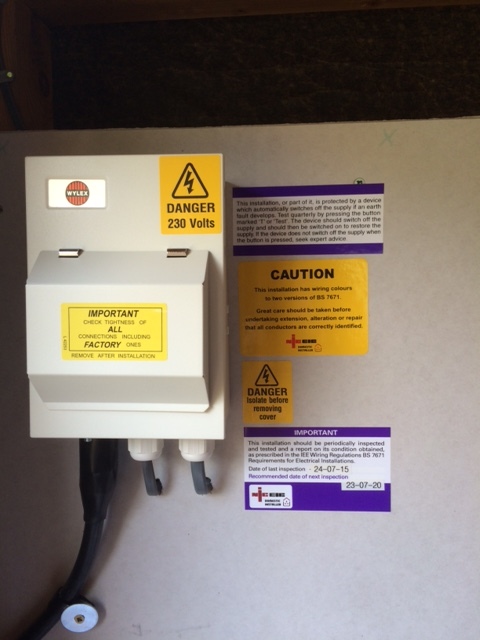 We installed an SWA cable (steel wire armoured) from the house to a 3rd amendment consumer unit. The Dual layer consumer unit below is mainly supplying a secondary unit. In this case, KNX. Even though this board has 36 circuits, all the light cicuits in the house could theoretically be run off a 13 amp plug as they are all LED at 5 watts or less. Each circuit may supply an actuator which has 12 circuits. The actuator is rated at 16 amps, however the circuit breaker for lighting does not exceed 6 or 10 amps. Also, the actuators are also used to control some of the socket circuits via a contactor. This enables the house owner to switch sockets outlets off if they have forgot to switch off an iron, for example, remotely. 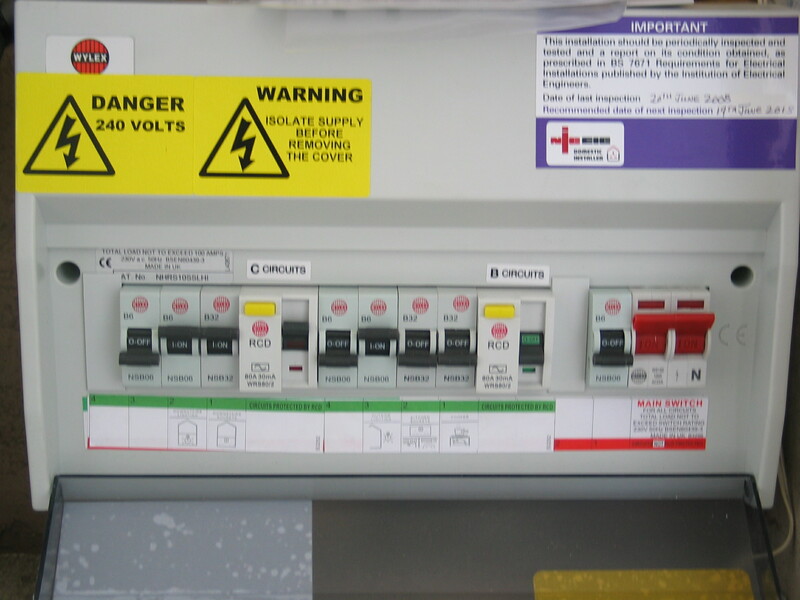 1st Phase Electrical Ltd has over 10 years experience of upgrading and replacing consumer units in commercial premises such as offices, shops, factories, restaurants and medical surgeries. In the below installation, the customer had 4 different fuses in the fuse board in the basement of his shop in Mayfair, central London. 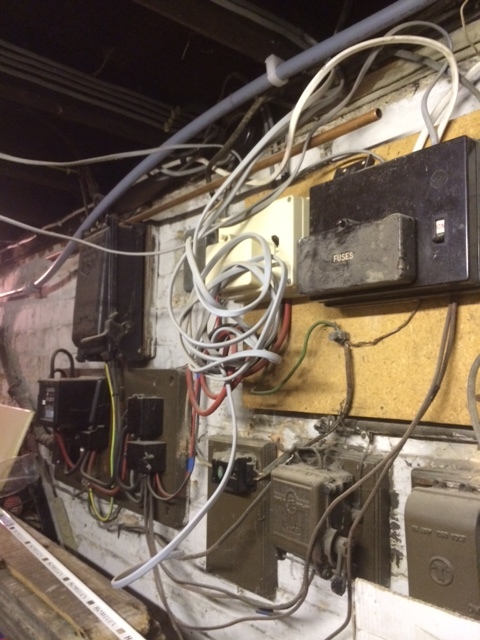 The earthing arrangements were inadequate and were corrected accordingly to avoid any electric shock risk. 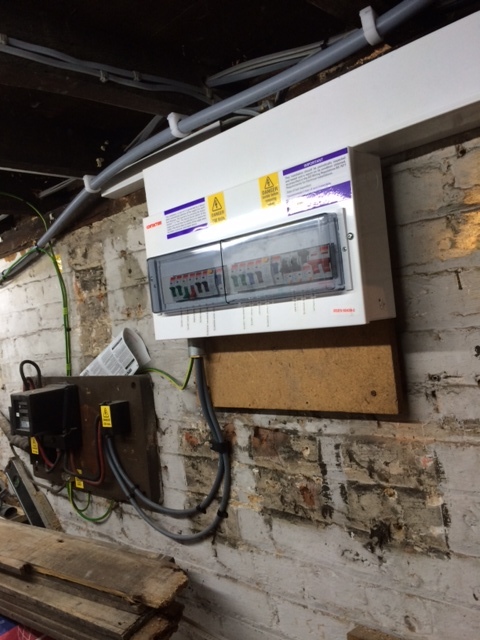 By replacing the fuse board and up grading the earthing arrangements including main & supplementary bonding, the customer was assured that the installation was safe and that he had met the guidelines set out in the IEE Wiring Guidelines. 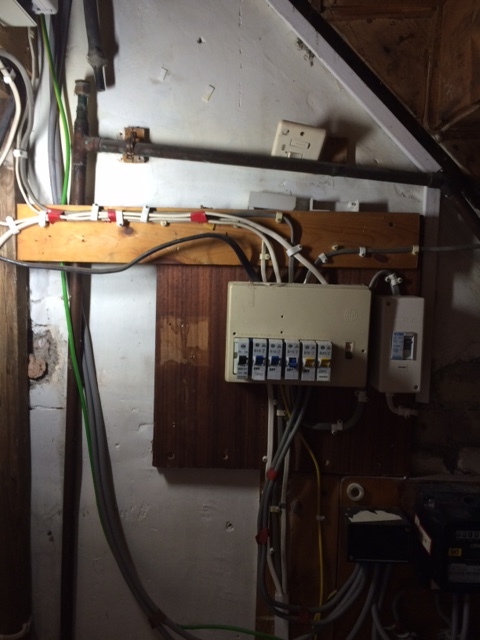 In this residential property in Walthamstow, East London, there were 6 old fuse boards supplying power throughout the house. There was no RCD protection and no labelling to the fuses. 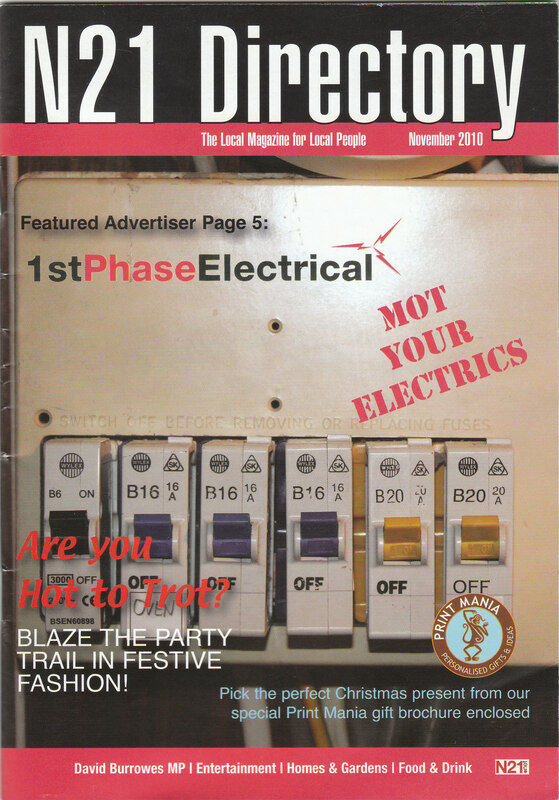 The above is part of our 'MOT YOUR ELECTRICS' campaign which encouraged consumers to upgrade their fuse board or undertake a rewire for improved saftey and meeting the IEE regulations. 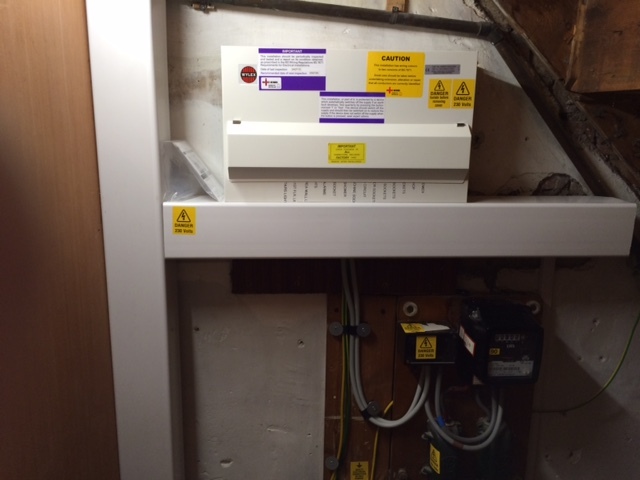 The fuse board below was installed in 2014 at a large domestic residence in North London. As the house consisted of many rooms, we divided the circuits using a 17th edition dual RCD board so that differenct areas or rooms could be easily isolated and with RCBO's for the kitchen and utility room circuits to avoid any nuisance tripping.